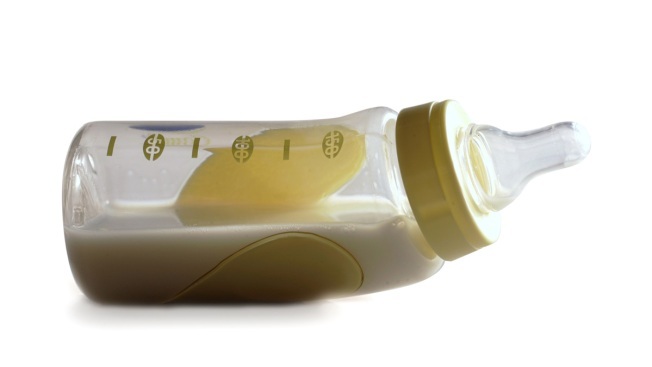 This undated file photo shows the detail of a formula bottle for a story on the debate over whether Massachusetts hospitals should give out goody bags, including infant formula, to new moms. Breast is best, but by how much? And is it really bad for your baby to supplement with some formula? Trump wrote, "The U.S. strongly supports breastfeeding but we don't believe women should be denied access to formula. Many women need this option because of malnutrition and poverty." Human breast milk is a hot commodity that is emerging as a growing industry, one that states are now seeking to regulate amid a battle for control between nonprofit and for-profit banks that supply hospital neonatal units. A 2011 surgeon general's report concluded that "breast milk is uniquely suited to the human infant's nutritional needs and is a live substance with unparalleled immunological and anti-inflammatory properties that protect against a host of illnesses and diseases for both mothers and children." Caitlin Oakley, a spokeswoman for the Department of Health and Human Services, said it's "patently false" to portray the U.S. position as "anti-breastfeeding."